Exterior sides are constructed of heavy gauge stainless steel. Exterior back and bottom are constructed of heavy gauge galvanized or optional stainless steel. Stainless steel top-mount housing. Exterior digital thermometer. Cabinet body is 100% CFC free, foamed-in-place polyurethane insulation. All heavy gauge stainless steel construction with radius corners. Stainless steel cart guides, bumpers, and entrance ramps. Automatic interior light with concealed actuator (solid doors only). High output fluorescent lamp on glass door models. Door openings protected by impact-resistant PVC breaker strip. 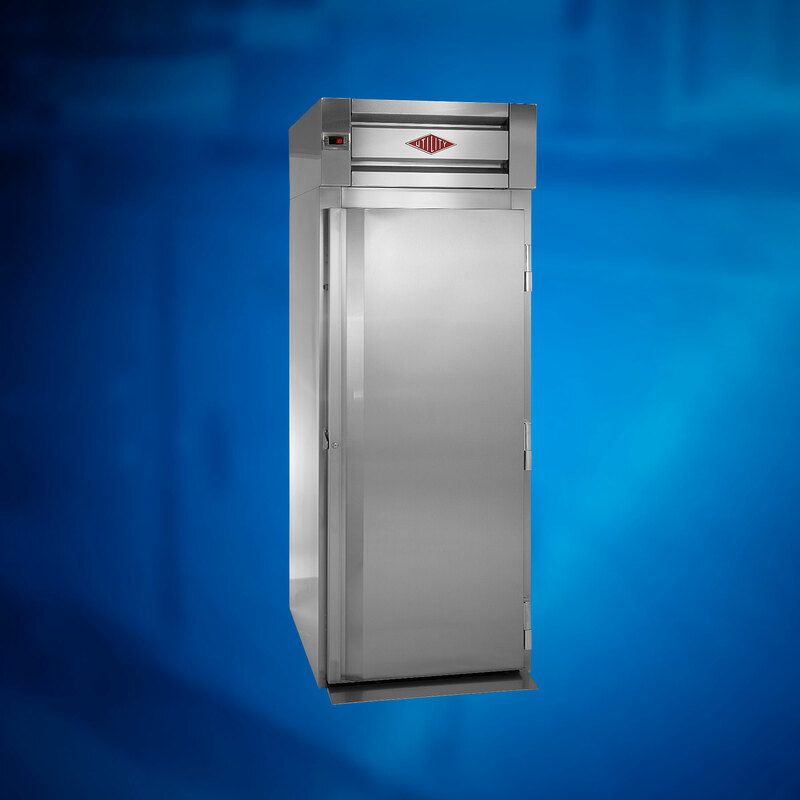 Optional cabinet modification allows storage of carts up to 72" high. Top-mounted fully hermetic compressor with R-404a refrigerant. Thermostatic expansion valve for superior performance and efficiency, faster temperature recovery, shorter running time, and lower energy consumption. Pressure control prevents compress or burn out in case of loss of refrigerant. 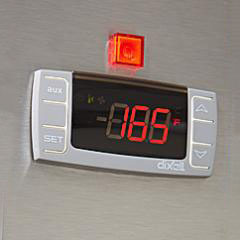 Easy-to-use digital temp. control enables users to adjust setpoint between 35-40 degrees F.